Q: What makes our product All-Natural? Q: What makes our quail better than the rest? A: Unlike most mass processed quail, our Texas Prime Quail is not pumped or “marinated” with brine solution which destroys the meats natural flavor and adds water weight. 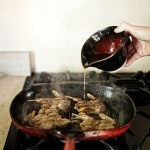 Making our Texas Prime Quail a healthier, low fat and low sodium option for meat lovers. Q: How does quail compare to other meats? A: Texas Prime Quail is a low-fat, low-sodium and healthy alternative to beef, pork and chicken. It also tastes better! Q: How fast can I get your product? A: Shipped 2nd day through Fed-Ex, we can deliver our product anywhere in USA. Q: Will the product ship fresh or frozen? A: To ensure the quality, we ship our product frozen. Q: Can I order direct from the company? Q: Do you sell hatching eggs or live birds? A: No. But we do sell eggs for consumption.